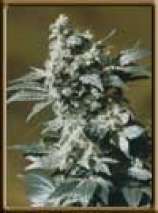 Here you can find a strain description about Ole 47 (Black Label) and also some user-based reviews and infos directly from the SeedFinder (if available). You can also find the offers and auctions here if Ole 47 (Black Label) cannabis seeds are on stock at MyCannapot right now. Olé 47 was created in the Seventies. It is a popular Indica/Sativa hybrid that finishes blooming early given good conditions. It has a very strong high, with a surprisingly mild taste. Ole 47 (Black Label) is not available at our shop at the moment!